Question: What do hundreds of thousands of children worldwide have in common with Google employees, US military personnel, the Seattle Seahawks, and the Boston Red Sox? Answer: They all practice mindfulness. No matter which mindfulness program or app is guiding them—whether it’s Calm Classroom, Mind Yeti, MindUP, Mindful Schools, Quiet Time, Inner Kids, Kindness Curriculum, or one of the many other programs available—it is sure to stem from the Buddhist tradition of meditation. In the late 1970s, Jon Kabat-Zinn, a biologist at the University of Massachusetts Medical School, realized that a non-religious form of meditation, which he dubbed “mindfulness,” might help patients deal with chronic pain. His hunch was right. Since then, studies have shown that Kabat-Zinn’s Mindfulness-Based Stress Reduction Program—and its many offspring—reduces chronic pain, as well as lowering blood pressure, cholesterol, stress, anxiety, and depression. Mindfulness is even used to treat post-traumatic stress, rheumatic arthritis, eating disorders, immune disorders, insomnia, and irritable bowel syndrome. Kabat-Zinn defined mindfulness as “the awareness that emerges through paying attention on purpose, in the present moment, and nonjudgmentally, to the unfolding of experience moment by moment.” He saw it as a way to train the mind, which he thought of as being like a muscle: With exercise, it could get stronger. The exercise he chose—and the core of most mindfulness programs—is concentrating on one’s own breath. That is, he taught people to select a quiet spot, sit still, close their eyes, and focus on their breathing. When their attention wandered, as it inevitably does, they learned to observe their thoughts, feelings, and sensations without judging them, then to gently bring their attention back to their breath and the present moment. Kabat-Zinn also taught patients to perform a body scan, a second way to train their attention. They could lie quietly, concentrate on each tiny bit of their body in turn, and notice how each part feels, from their scalp to their toes. Attention. Because our minds have a tendency to roam, mindfulness asks us to concentrate on the here and now—the present, not the past or the future. It helps us to focus and switch our attention more easily when situations change. Awareness. With mindfulness we become aware of each one of our thoughts, emotions, and physical sensations and see it more calmly, clearly, and accurately. Acceptance. Mindfulness allows us to accept our thoughts, emotions, and physical sensations without judging them or reacting to them; it enables us to be neutral, open, curious. Through the practice of mindfulness, we cultivate the ability to observe, recognize, and change ordinary patterns, to become more reflective, calm, empathic, and kind, and to achieve greater control of our actions. Is mindfulness just for adults? At first Kabat-Zinn and his followers prescribed mindfulness only for adults. 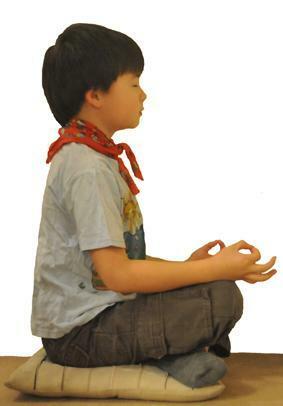 But eventually people began to think that mindfulness could help children, too. As they grow, their brains are learning how to regulate their attention, thoughts, and emotions; and researchers now theorize that mindfulness practice could help to shape children’s neural networks and support their emotional regulation and executive function, which develop rapidly in the preschool years. Mindfulness targets self-regulation, and recent research has shown that the ability to self-regulate in childhood makes a huge difference. In fact, it predicts everything from kindergarten readiness to SAT scores to adult health, income, educational achievement, and criminal activity. The research on children and mindfulness is promising but preliminary, meaning we need more studies to demonstrate what researchers already suspect: that mindfulness can boost children’s attention (which helps them to concentrate), working memory (which enables them to remember directions, among other things), and inhibitory control (which makes it easier for them to stay on task, follow rules, and have friends). It should come as no surprise that all of these skills are crucial for school success. Some researchers even see signs that mindfulness could prevent aggressive and challenging behavior, beef up empathy and resilience, and reduce visits to the principal’s office and school suspensions as children begin to respond more mindfully to difficult situations. Research in adults shows that practicing mindfulness actually changes the brain. Most notably, it thickens the brain regions responsible for learning and memory, strengthens those involved in self-control, and facilitates communication among different areas, making the brain more efficient. Mindfulness works because of this two-pronged approach: It enhances conscious control at the same time that it dampens automatic reactions like fear and anger that can interfere with learning and rational thought. And it is likely that the effect of mindfulness on the developing brain intensifies when it is introduced early. So far evidence indicates that children at high risk—including those experiencing poverty, trauma, or toxic stress—benefit the most. How can kids learn mindfulness? Make mindfulness a special time. It’s probably a good idea to move to the carpet or another space where everyone can lie down. Practice often—several times a week, every day, even several times a day. A few short practice periods spaced out over the day work better for learning than a single extended one. It’s best to be consistent, so select times you can stick to, for example, after recess, after lunch, before math. Keep the sessions short. One to two minutes is enough for younger children; five-year-olds can pay attention for about three minutes. Use props such as stuffed animals. Kids can lie down, put their stuffies on their bellies, and rock them to sleep with their breathing or pretend they’re boats bobbing up and down on the waves of their breath. They can also do a body scan lying down or standing up with the aid of a hula hoop and the teacher’s direction. Include mindfulness in ordinary activities like snack or lunch—for example, ask children to notice whether their food is hot or cold, hard or soft, bland or spicy. Incorporate movement such as yoga stretches. Metaphors are useful, too. Help children visualize their thoughts passing by like clouds in the sky or floats in a parade. Bear in mind that despite the vast number of programs and apps available, most of those aimed at young children have not yet undergone rigorous scientific evaluation. There isn’t even consensus about how much training and practice teachers need! It’s important for your program to be evidence based, so be sure to check out the research behind your choices. Don’t forget to note the age of the children the program is designed for. How can you recognize good research? Detailed information about the program itself (number, length, and frequency of practice sessions, training of teacher, etc.). Use of multiple methods and informants to assess outcomes (such as grades, office referrals, suspensions, recognized tests of children’s skills, and outside observers). Random assignment of participating children to the training group or an active control group (which is preferable to a wait list control group). A large number of participating children and a description of them (their age, race or ethnicity, income level, disability). Corroboration by similar independent studies. If you’re thinking, “I could use some mindfulness myself,” you’re probably right! 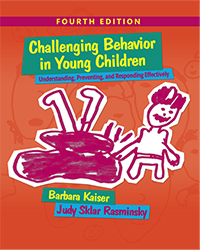 Teachers work under stressful conditions, and emotional regulation is especially important when you’re facing challenging behavior. A study of the CARE program (Cultivating Awareness and Resilience in Educators), which teaches teachers mindfulness and social and emotional skills, found that it reduced stress, anxiety, depression, and burnout, while improving teachers’ empathy, relationships with their students, classroom management skills, and the learning environment. Although there’s no consensus on the subject, having mindfulness training and your own practice will probably help you to teach mindfulness to your class. Calm Classroom. A research-based program for preschool and kindergarten, Calm Classroom was developed by the non-profit Luster Learning Institute. It trains teachers, administrators, and support staff on site in schools and also offers individual educators online training that comes with a manual and a CD. You can try it out by clicking here. Mindful Schools. Mindful Schools, which was designed for kindergarten to fifth graders, offers both a six-week basic online course and a more advanced online course under the guidance of experienced mindfulness teachers. Educators can also sign up for group instruction. Examples are provided on the website. MindUP. Accredited by CASEL, the MindUP program grew out of the earlier Mindful Education and consists of 15 lessons for PreK to grade 8 students. It draws from neuroscience, positive psychology, mindful awareness, and social and emotional learning and offers whole-school or regional training for classroom teachers, a curriculum guide, and a digital option. Mind Yeti. Developed by the Committee for Children, the non-profit organization that produced the Second Step social and emotional learning program, Mind Yeti is an animated web-based program for “children and their adults” created by educators, psychologists, researchers, and mindfulness experts under the guidance of University of British Columbia psychologists. You can try it out for free through Apple iTunes. We’d love to hear about your experiences with mindfulness—either your own or your students’. Has it changed the ambience of your classroom?